Is Your Starter Giving You Problems? 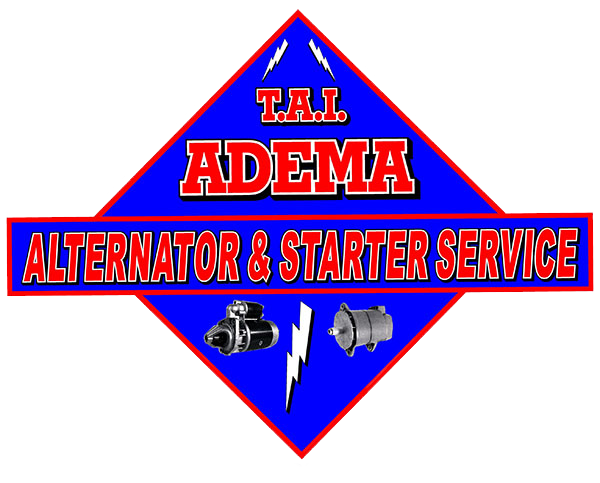 Adema Alternator and Starter Service is an alternator repair and installation shop in Coopersville, MI. We strive to deliver a top-quality product while providing the best customer service in the industry. You can count on us to repair or replace your alternator, starter or battery in a flash. Adema offers a wide range of rotating electrical services to our customers, which include trucking companies, truck parts distributors, school districts, city and county fleets, marinas, boat dealers, parts stores and warehouses, forklift dealers and OEM distributors-as well as "do-it-yourselfers." Our starter and alternator repair shop is constantly searching to come up with the items that our customers need, and our quality and competitive prices keep them coming back! Get exceptional alternator or car starter repair services by stopping by our auto repair shop today. Trust is to repair or replace your alternator in no time. We can install a top-of-the-line starter in your vehicle today. Bring your vehicle to our shop to get a new battery installed. Purchase the quality automotive accessories you need. $10 OFF SERVICE OF $75 OR MORE! Don't Hesitate -Bring Your Car In Today!